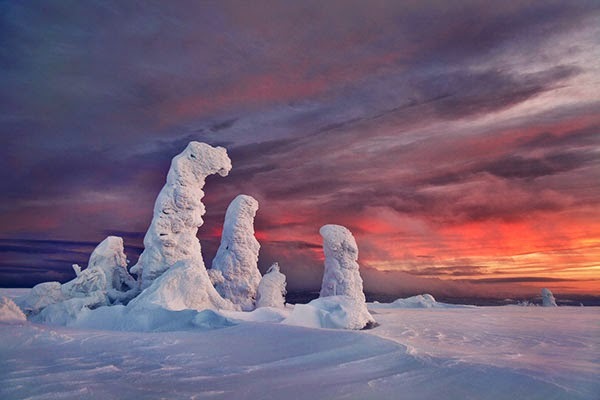 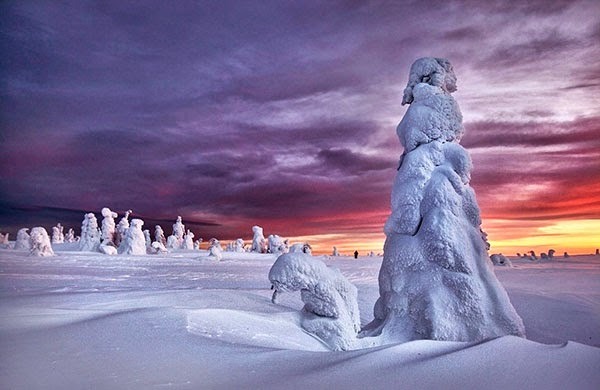 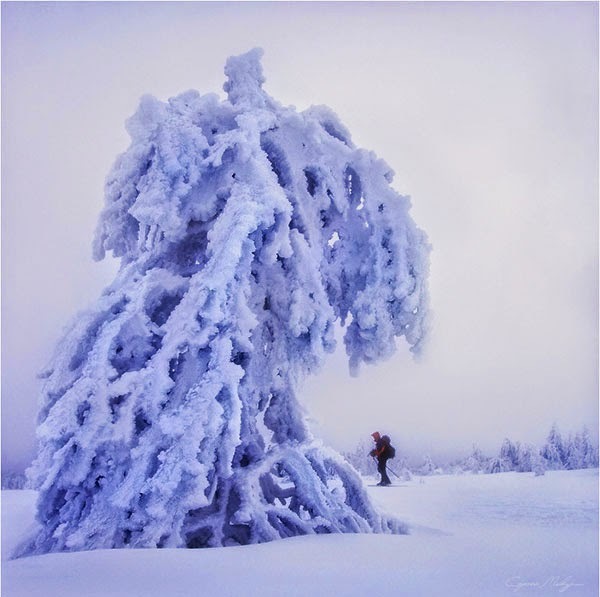 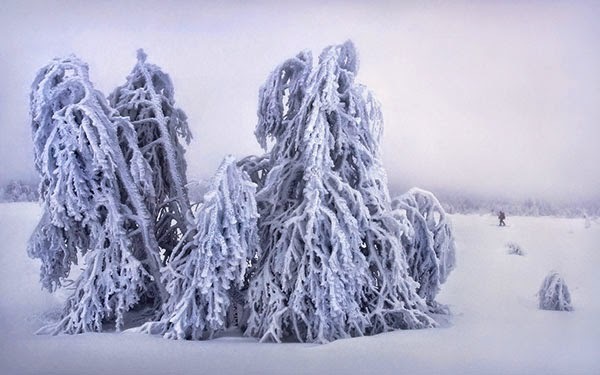 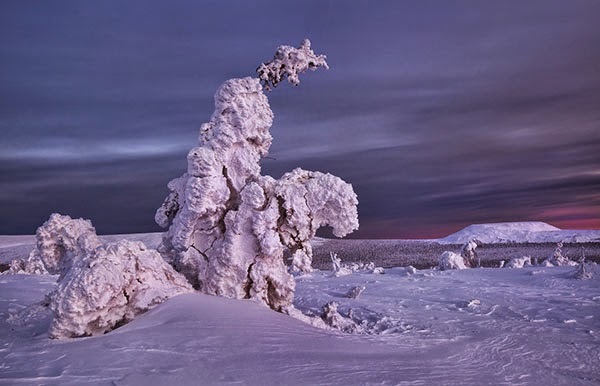 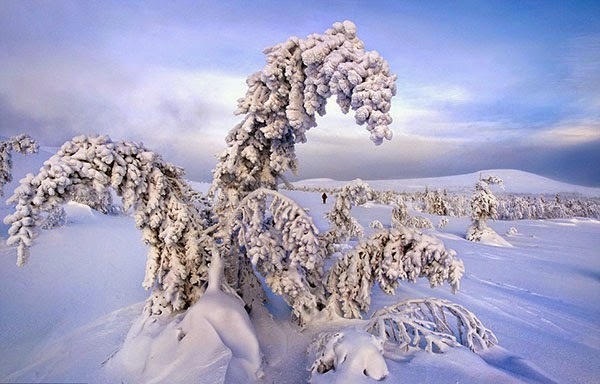 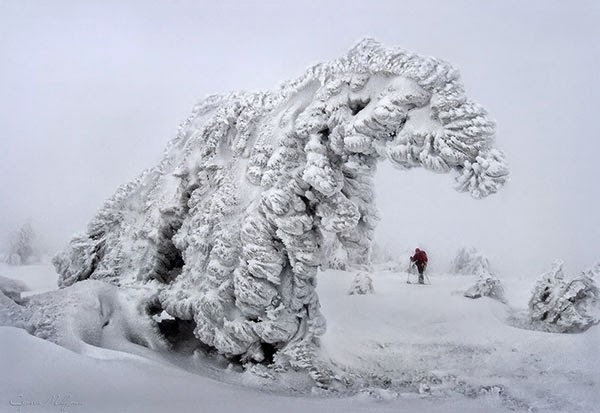 Beautiful photos of frozen trees in the Ural Mountains by Russian photographer Sergey Makurin. 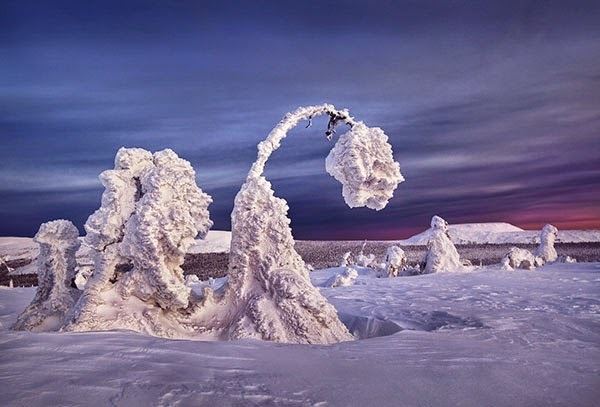 Some of the trees have buckled under the weight of the ice and snow while others are completely covered and take on eerie shapes. 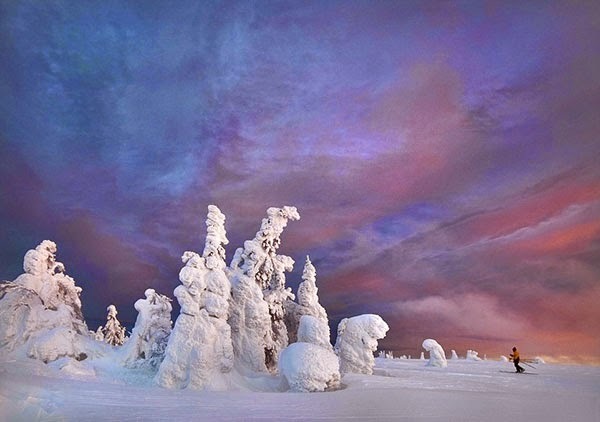 The trees look otherworldly when set against the red and orange glow of the sky. 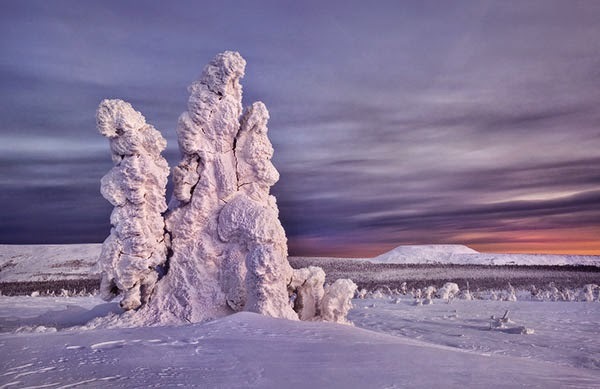 To take these shots, Sergey trekked through completely isolated areas with sub-zero temperatures for hours or even days to get it right.